The story of Rwanda is as inspiring as its lush landscapes. Risen from the ashes of a troubled past, the nation is now recognized as one of Africa’s success stories. A wonderful event – the ‘Umuganda’ nurtures this renaissance and a shared national identity, where communities unite in a monthly clean-up. 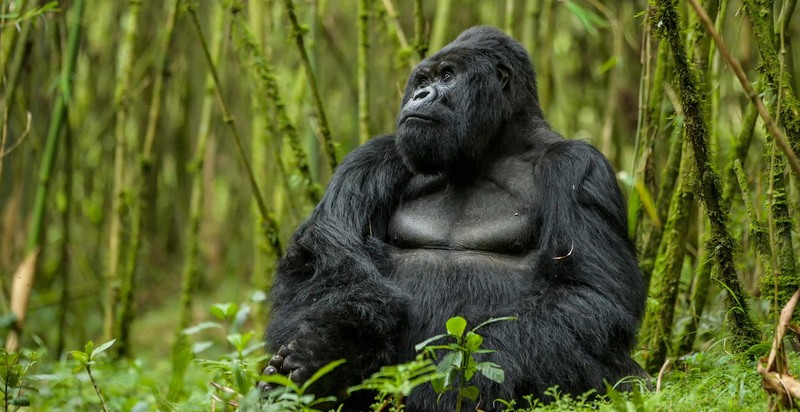 The bamboo forests of Volcanoes National Park – home to five of the eight volcanoes of the Virunga Mountains, is where those wonderful Silverbacks can be seen on your professionally guided Gorilla Trek. The primate tour curated by includes all permits; hand-picked accommodation for varied budgets; track the endangered Golden Monkey, and tour the Genocide Museum and Kigali City. Extend the tour to discover a fascinating culture, photograph volcanic mountains and terraced landscapes or tour across the border to see the Big Five in Uganda. Be inspired by every hue of green on this land of a thousand hills.